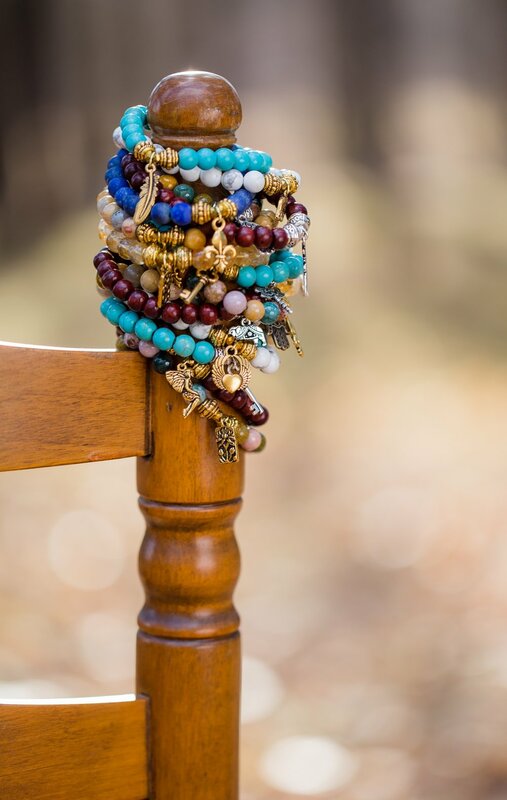 Our products are handcrafted from semiprecious stones, quality wood and other materials. The business was created from the founder’s love and appreciation for distinctive, meaningful jewelry. Each piece is made from a unique stone, wood and ethically sourced metal which holds a powerful energy. Your piece radiates this pure energy based on the metaphysical properties locked within its materials. Each EvaDane piece is handcrafted in the United States and personally created with mindful care. We are committed to sourcing the finest quality materials from all over the world to provide our customers with a unique personalized piece of jewelry. Due to the handmade and earthy qualities of our product, there may be slight differences in color, tone, and/or inclusions. We always seek the highest caliber elements and believe the slightly different properties within each stone or wood enhances the individual energy of the piece. We want you to love your EvaDane jewelry as much as we love creating it for you.